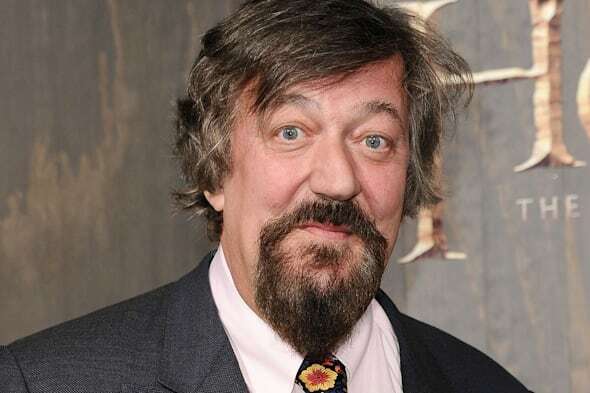 Stephen Fry has boycotted luxury hotel chain Dorchester Collection after the company's owner, the Sultan of Brunei, passed a law stoning homosexuals to death in the sovereign state. The actor and comedian tweeted on Saturday: "Cancelled in nick of time: discovered @CoworthParkUK that I was booked into is part of the 'Dorchester Collection'". The new law was supposed to come in force on Tuesday but according to the BBC, it has been postponed "due to unavoidable circumstances". An official told local media that the law would begin "in the very near future". Last week, Los Angeles' Beverly Hills Hotel became the subject of a boycott by lesbian, gay, bisexual and transgender (LGBT) activist groups. The OutGiving Conference, an event for wealthy LGBT donors, announced that it would be cancelling the conference at the luxury hotel after organisers realised it was owned by the Sultan of Brunei. According to WWD, a Dorchester Collection spokeswoman said: "We are aware that many variations of Sharia law are practiced in many countries throughout the world and these countries have diverse business interests including fashion, hospitality and travel groups, media, entertainment, banking and many other sectors. We are sensitive to the fact that any such potential withdrawal of business directly impacts our employees, who represent the full diversity of society. Our loyal and dedicated employees have no involvement in this religious and political issue." She added: "We continue to abide by the laws of the countries we operate in and do not tolerate any form of discrimination of any kind. The laws that exist in other countries outside of where Dorchester Collection operates do not affect the policies that govern how we run our hotels. Dorchester Collection's code, endorsed by the company's ownership, emphasizes equality, respect and integrity in all areas of our operation, and strongly values people and cultural diversity amongst our guests and employees."